"What! You've waited six months to caption these things. You've forgotten all about the place." "No, I haven't. Besides, I made a bunch of rough notes that I can smooth out into an elegant yet amusing narrative." "Right. Sure. That'll be the day. Prove it." Twenty years from last passing by, and the signs hanging from the chains haven't budged, unless you count rust. It's good to find travel agents happily offering tickets on airlines that no longer exist. Who says we don't respect tradition? 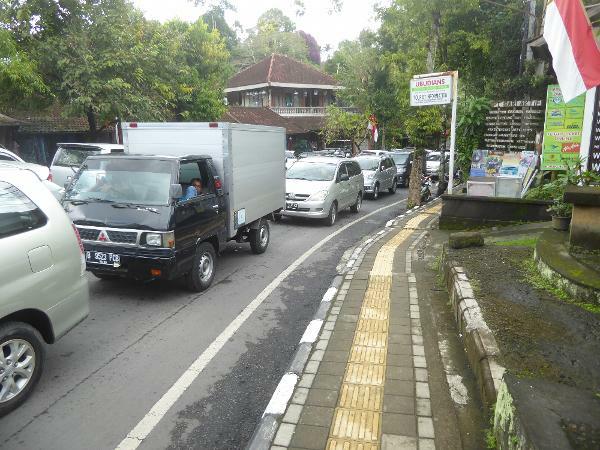 But of course we spoke too soon: the world moves on and this afternoon it's gridlock in Ubud. "Peace and love, bro." Yes, that day was exceptional. But is this what brings people to Bali? 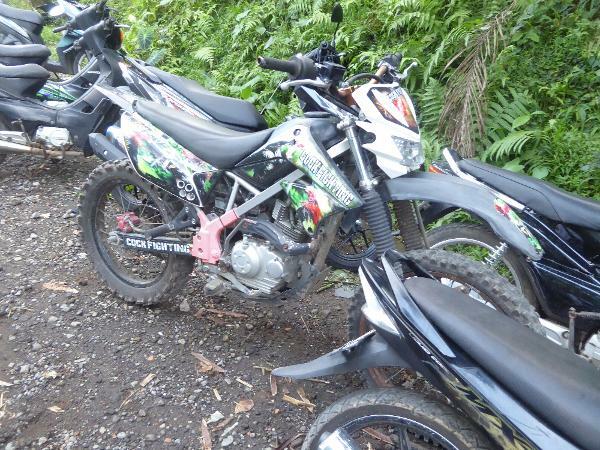 Stupid question: ski resorts offer trail bikes in summer. Etc., etc. While the festival lasted, in any case, walking was faster than driving. 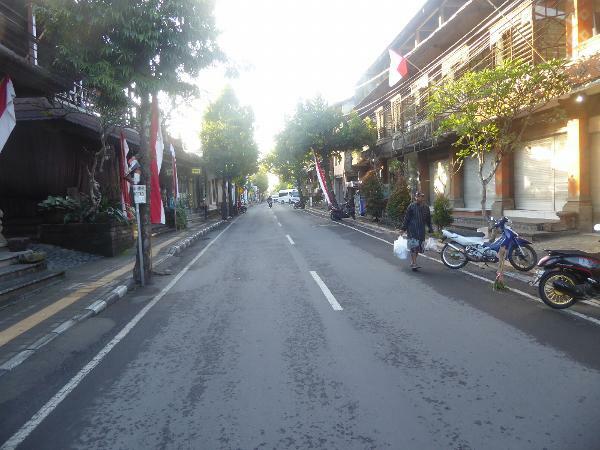 Gotta be fair: a couple of days later, the same street (Jalan Raya Ubud) was not only almost deserted at dawn but cleaner than anything this side of Japan. The cliffs down on the south coast were clean, too. 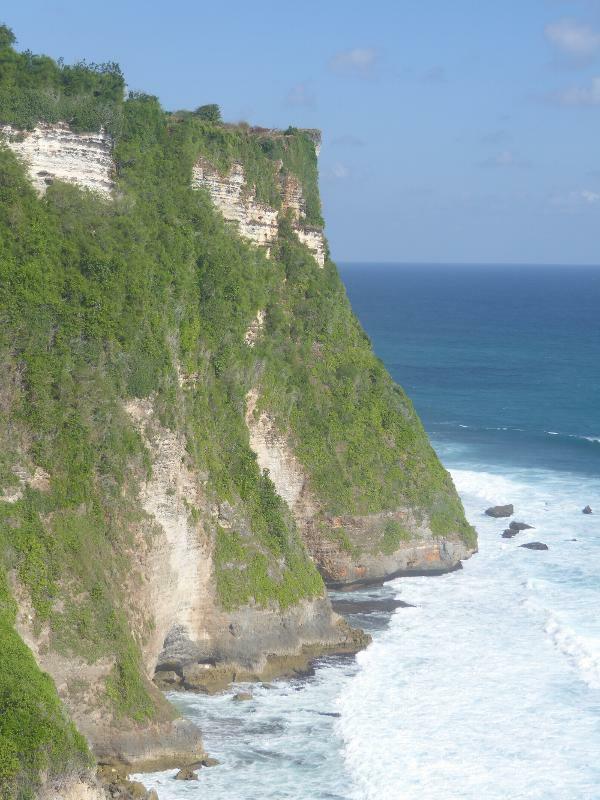 We're at Uluwatu, on the Bukit Peninsula that sticks out from the south coast. This dry peninsula was historically almost deserted, with parts closed to commoners. 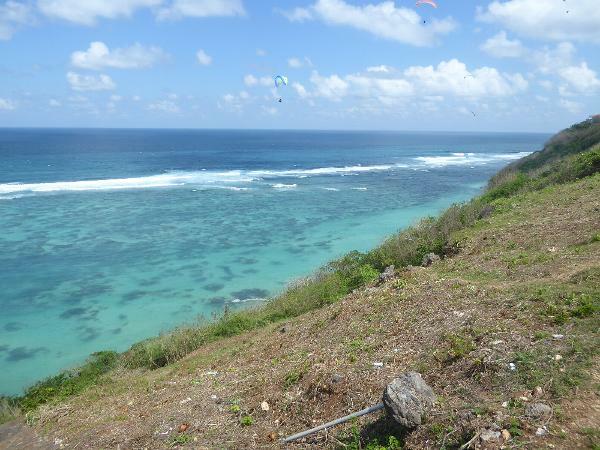 But time does its thing, and here, on the east edge of the peninsula, several hang gliders drift by. Hope they can steer: it's 750 miles to Australia. 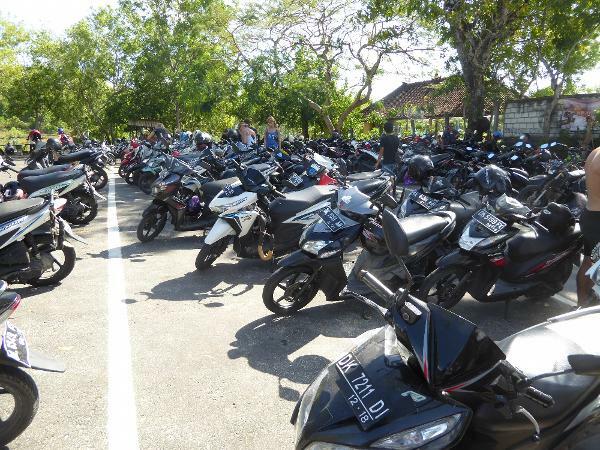 Still on the peninsula, here's the parking lot for Labuan Sait beach. How did we get here? Historically, I mean, not geographically. A thumbnail summary commences NOW. 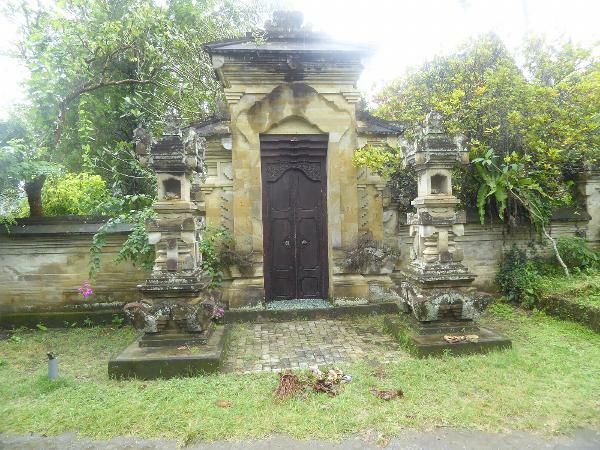 The Dutch mostly ignored Bali until about 1900. In 1906 they seized control through a sensational military conquest made easy by the compliant, ritual suicide of the local elites. 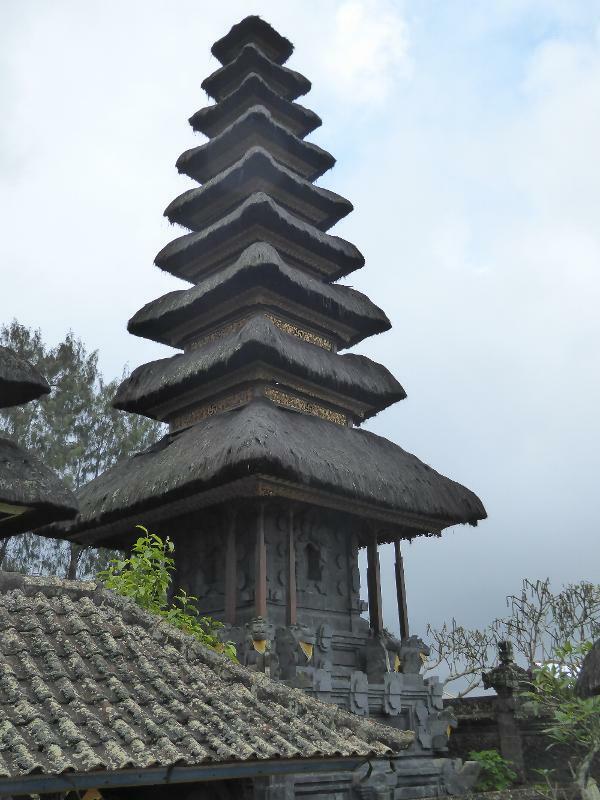 In 1908 Bali was declared a colony, but the military remained in charge until 1914. In 1928 the KPM opened the Bali Hotel (still in business in 2016 as the Inna Bali Heritage). 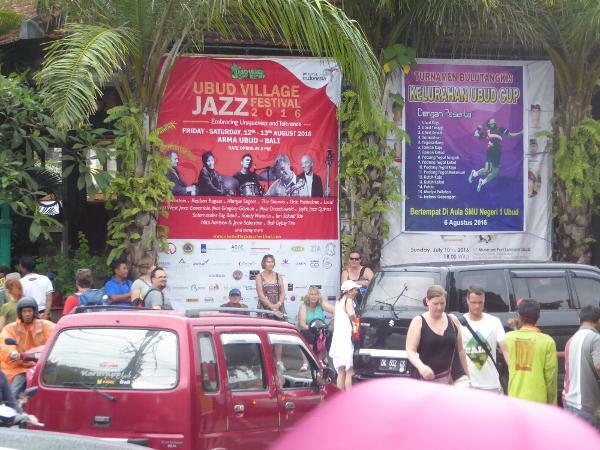 Then an American came along to open the Kuta Beach Hotel: he was Robert Koke, ex-Hollywood. Much later, he and his wife Louise wrote a book about it, Our Hotel in Bali (1987). Koke, bless his heart, introduced surfing to the island. Everybody who was anybody came. The list of pre-War visitors includes Clemenceau, Duff and Diana Cooper, Tagore, Somerset Maugham, H.G. Wells, Cole Porter, Lili Kraus, John Ford, Claudette Colbert, Richard Halliburton, lots of bored rich people like William K. Vanderbilt, Barbara Hutton, and Doris Duke, and the occasional academic. 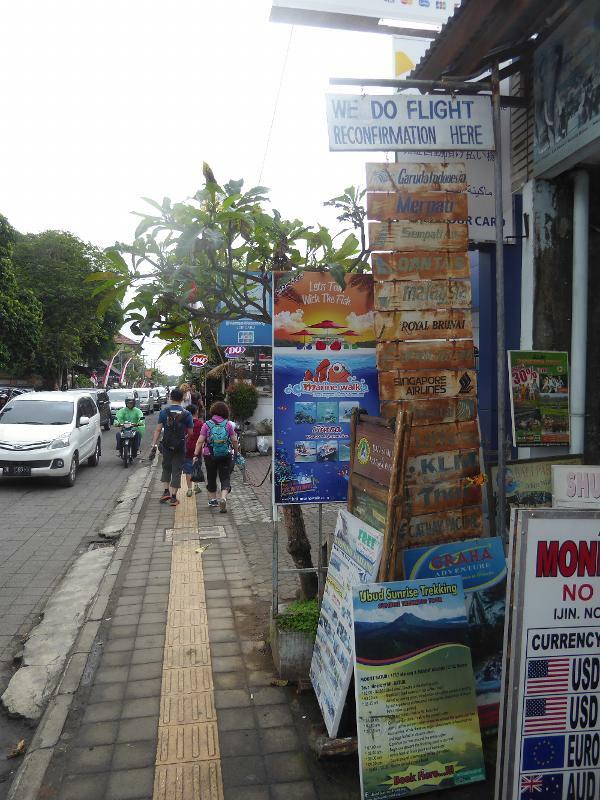 Margaret Mead, uncharacteristically for her, spent a lot of time on Bali but wrote little about it. Books did appear and didn't hurt. The first American contribution was 1921's Where the Strange Trails Go Down, by E. Alexander Powell. Then, in 1930, Hickman Powell published The Last Paradise. A few years later, Miguel Covarrubias published Island of Bali (1937), and, after the war, Colin McPhee published A House in Bali. Much later, in 1970, his wife Jane Belo published Traditional Balinese Culture, but by then, lots of other stuff was out. The National Geographic hadn't been just sitting around: it published its first article on Bali in 1926. The photographs were by Frederick Price Knott, an Ohio farmboy smart enough to move to Santa Barbara. Movies came, too, beginning with 1929's Goona-Goona, An Authentic Melodrama of the Island of Bali. The film was commercially successful--you have to remember that the women of Bali at that time were naked from the waist up--and it was followed in 1932 by Balinese Love and Isle of Paradise. In 1935, audiences lined up for Legong: Dance of the Virgins. And the result? A cartoon says it all. 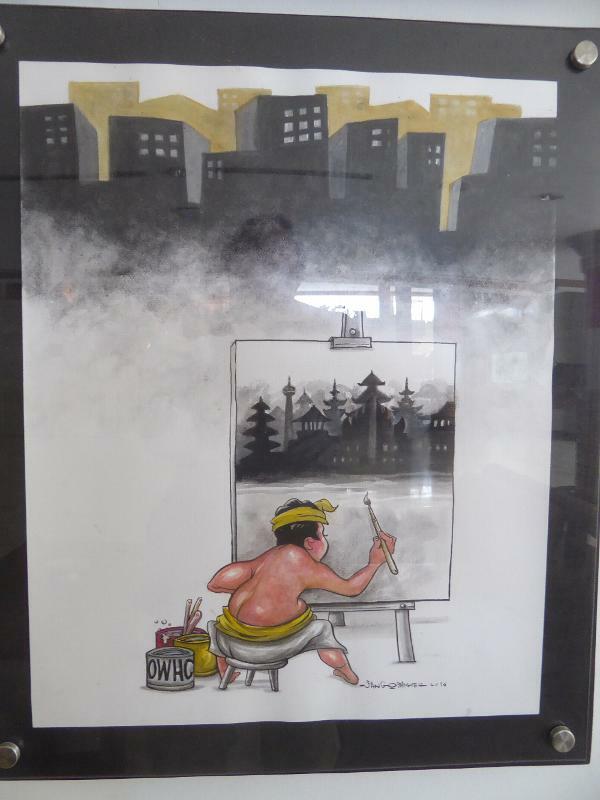 It appeared in an exhibition mounted in Bali in 2016 by the Organization of World Heritage Cities. 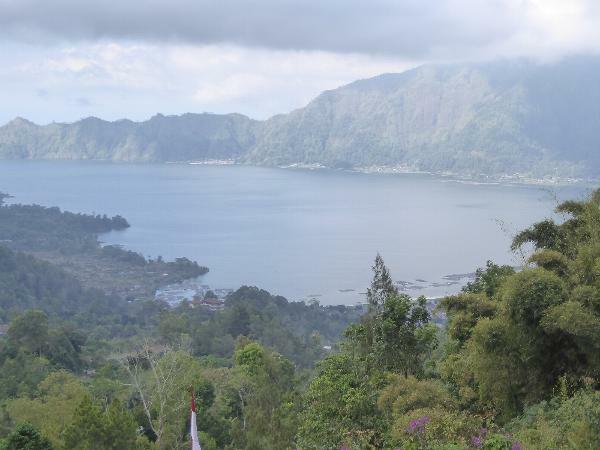 Let's get a breath of fresh air at the top of the island, where Lake Batur sits in the caldera of Mount Batur. The caldera formed 23,000 years ago, but the volcano is still active, most recently in 2000. Nieuwenkamp returned in 1918 and found the temples he had seen in 1906 completely buried in lava except for an entrance tower, which itself was subsequently submerged. 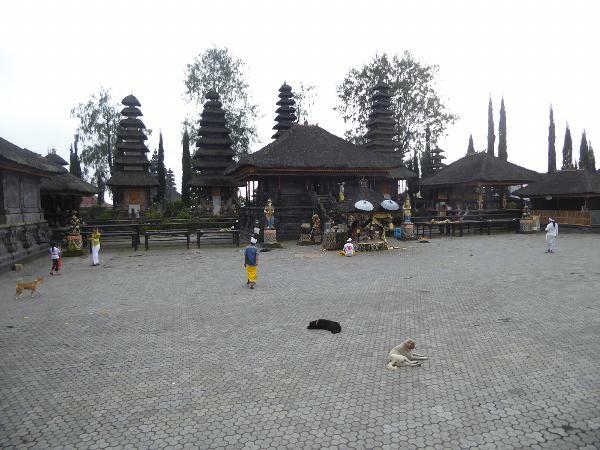 Here's the dalem or main court of one of the site's 250 temples. Outsiders may wish that the temples would be obligingly and inconceivably ancient, but they aren't, of course, and even the temples obliterated early in the 20th century were not especially old: they had been built in 1634. 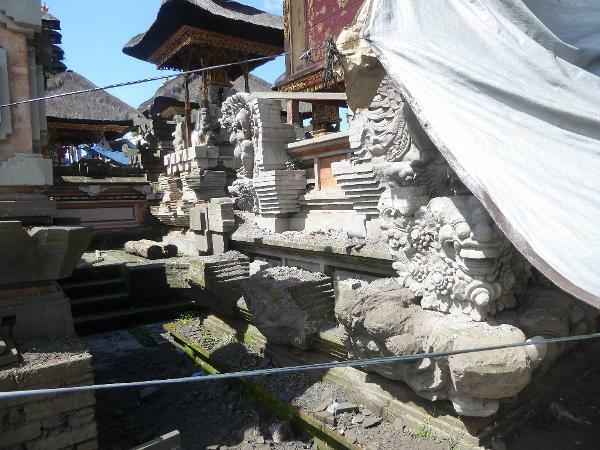 The Balinese weren't bothered by this because the volcanic tuff that they habitually use to trim their buildings is very soft and erodes badly within a century. 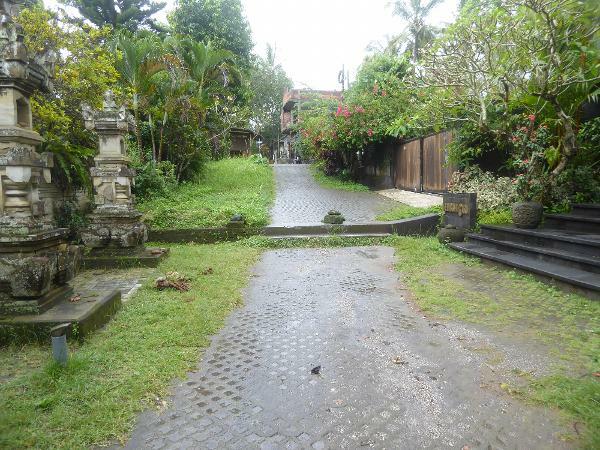 The Balinese, in short, made a virtue of necessity and were unimpressed if not positively disdainful of old buildings. 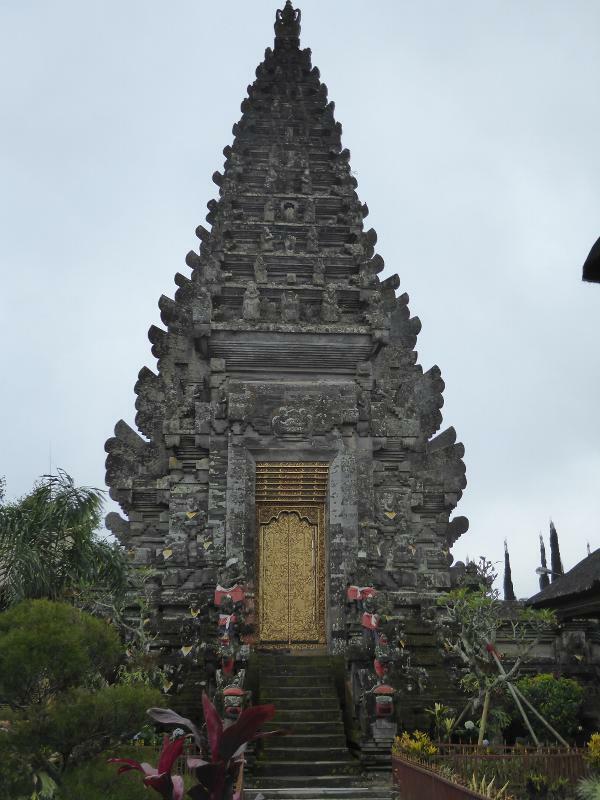 The temple tower represents Mount Meru, the Himalayan home of Shiva. The rule is that there can no more than 11 tiers; in this case I count nine. The towers contain inaccessible rooms holding effigies. Members of one association kneel before a bale or pavilion. 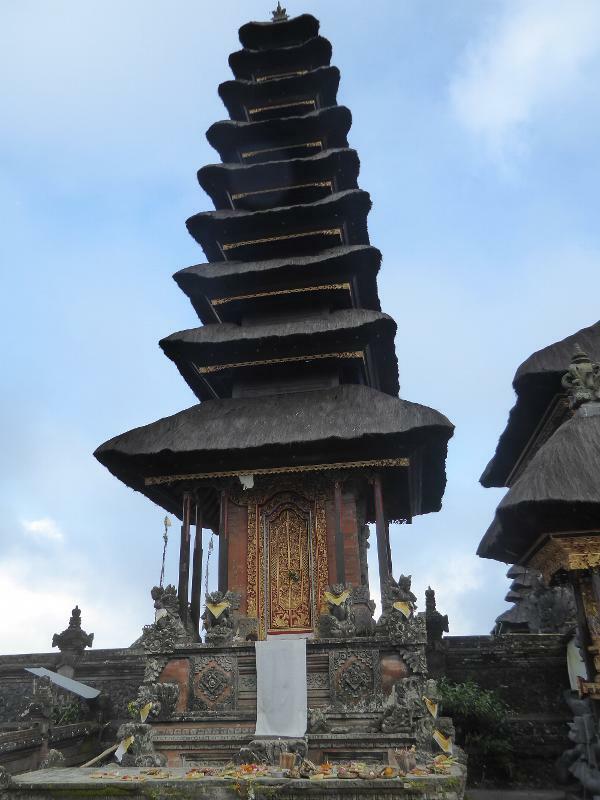 The pyramidal roof is in itself a tipoff that this is a temple: secular buildings on Bali use hipped or gables roofs. A lay priest here makes offerings to one or another of some 45 deities, chief among them Dewi Danu, the Goddess of the Lake. 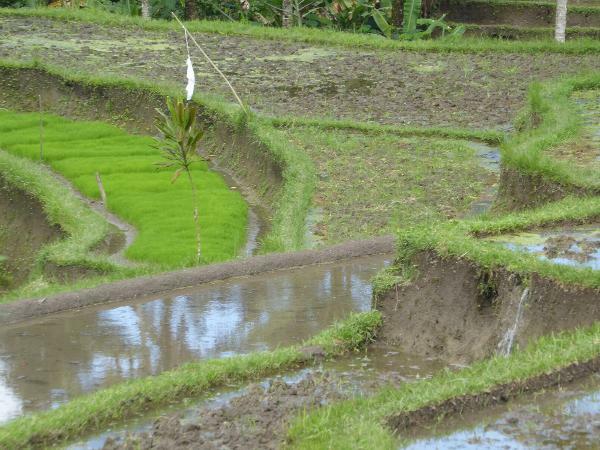 The villagers, to be blunt about it, want to make sure that water keeps flowing to their rice paddies downhill from the mountains. 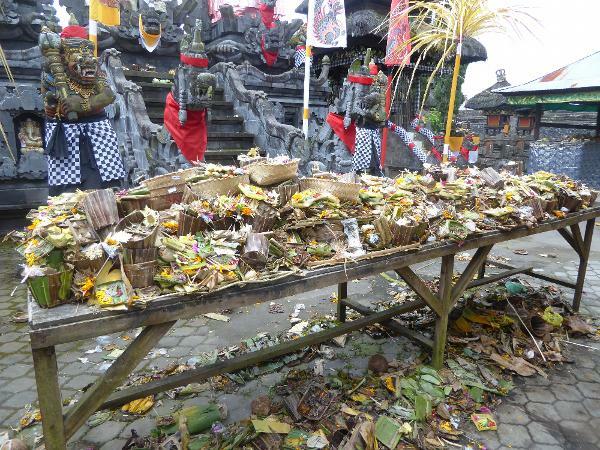 Ritual complete, the offerings are left behind. The yellow wrapping signifies a holy presence. Tourist beaten? 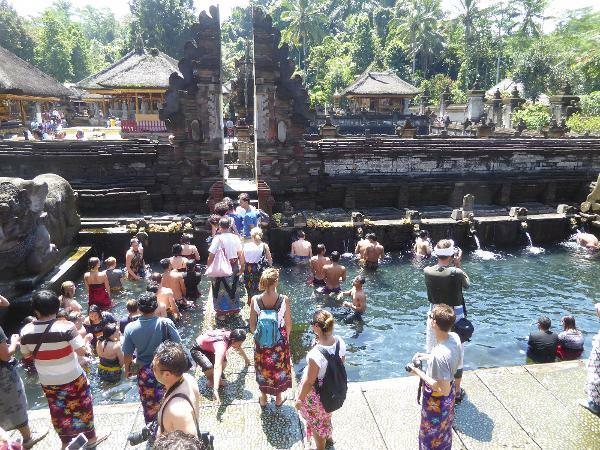 Beyond the split gate or candi bentar is the famous Tirtha Empul, usually translated as "holy spring." 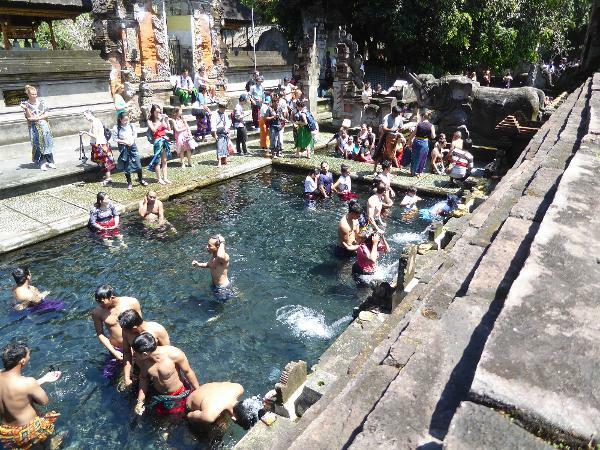 Its water flows into this purifying bath, here almost monopolized by foreigners. 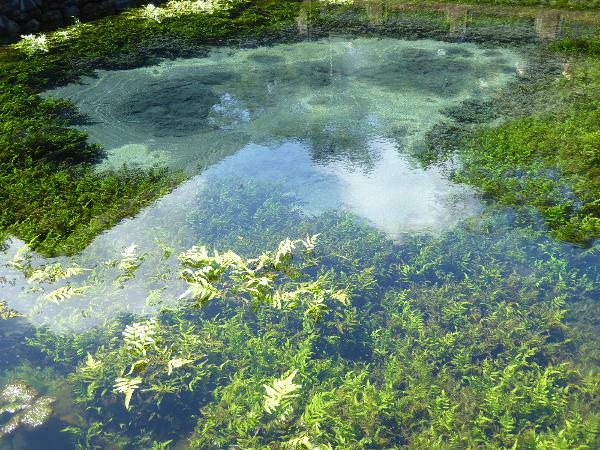 Here's the spring itself. welling up in brilliant clarity. Today's tourists look good in comparison to an episode that took place here in the early 1930s. 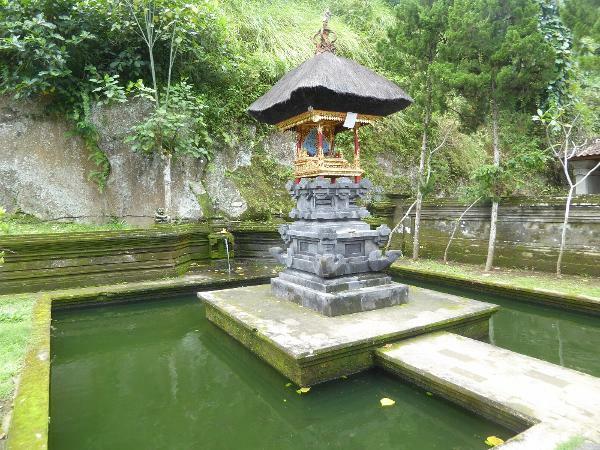 Johan Fabricius describes it as follows: Mr. D, the dollar millionaire, went to the holy village of Tirta Empul, and out of sheer bravado--'just for the fun of it'--took a dive into the lotus-covered Bath of the Gods; the horrified priests dashed to the scene, and submitted a complaint about this sacrilege to the Deputy Commissioner, with the result that Mr. D. generously offered to stand the cost of a banquet to propitiate the fury of the offended deities. The whole affair set him back about twenty dollars, a trifling sum to pay for the pleasure he was going to get out of dishing up the story to his circle of wealthy acquaintances back in New York. 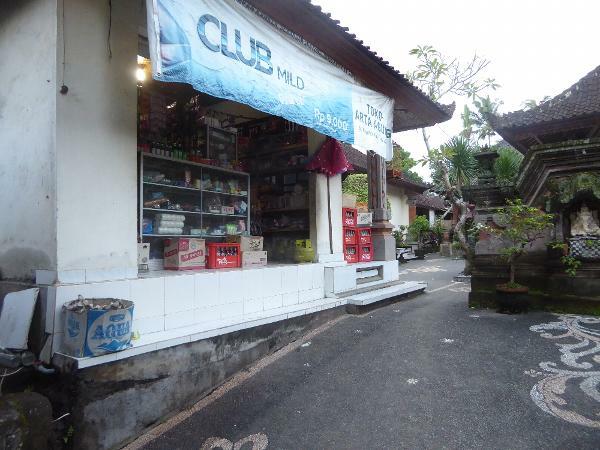 He and his friends tore along the peaceful lanes of Bali in their cars of an afternoon, running over dogs and chickens by the dozen in their hurry to hold a noisy get-together in the bar of Mr. D.'s yacht," at anchor off the coast. (See A Dutchman At Large, 1952, p. 175). A stone nearby declares that the builder of the associated temples and hydraulic masonry was Sri Candra Bhaya Singha Varmadeva about the year 960 A.D.
Up top is the deplorable Istana Tampaksiring, the hillside palace built in 1957 on the edge of the village of Tampaksiring for President Sukarno. Wasn't this a greater insult than Mr. D's scandalous plunge? It's certainly been more lasting. The senior architect, R.M. Sudarsona, also designed Indonesia's Pavilion at the 1964 World's Fair in New York City. It, too, was modern, though in a nod to tradition had a split gate. 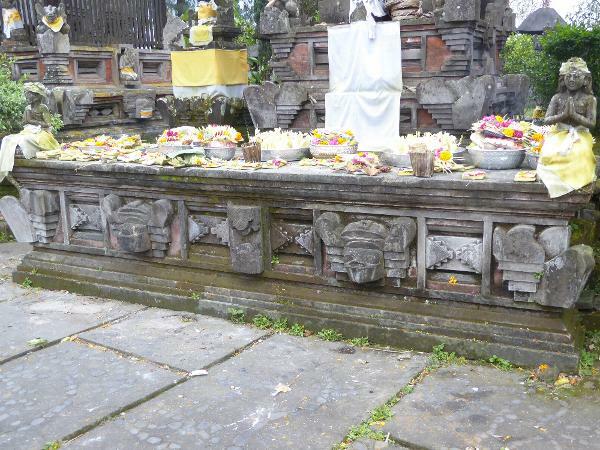 Both Mr. D and Sukarno are forgotten as offerings are made at the temple's pelinggah or gate shrine. 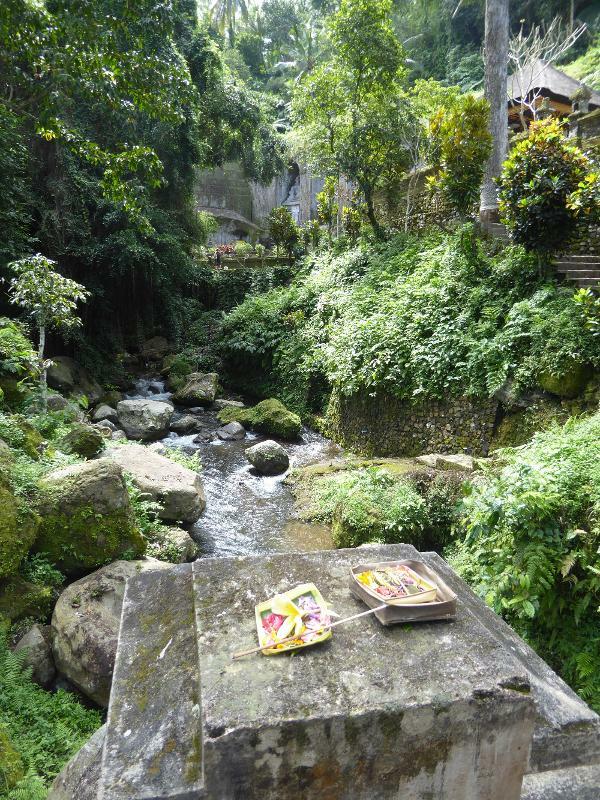 We've come a couple of miles down the stream that flows from Tirtha Empul. What's in the distance? Short answer: it's a tomb complex "discovered" in 1920 by H.T. 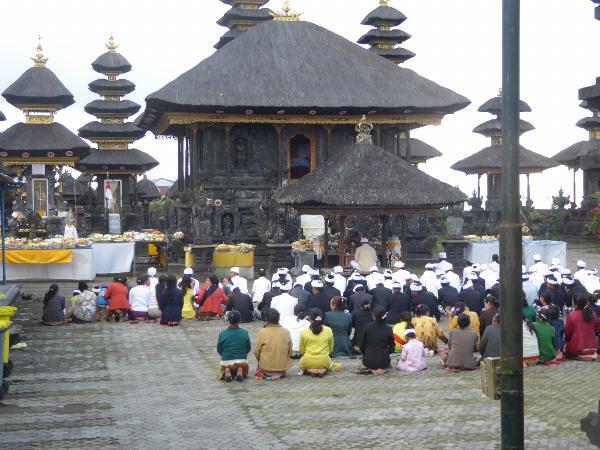 Damste, at that time Bali's administrator or, in the wonderful Dutch terminology, Bali's controleur. The word means exactly what you think. Here's the formal entrance, part old and part new. You don't need a Ph.D. to tell one from the other. 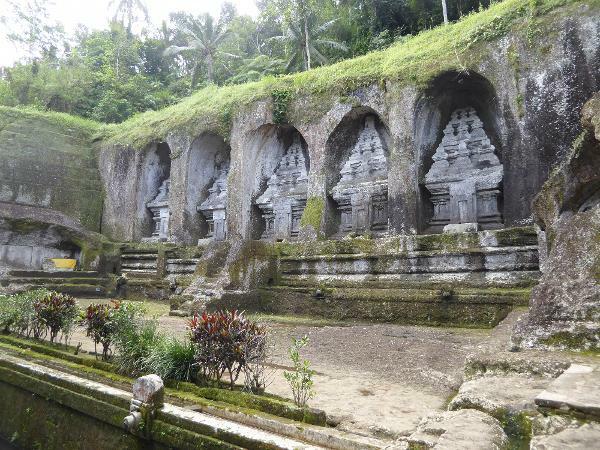 They're 11th century tombs in the form of temples. 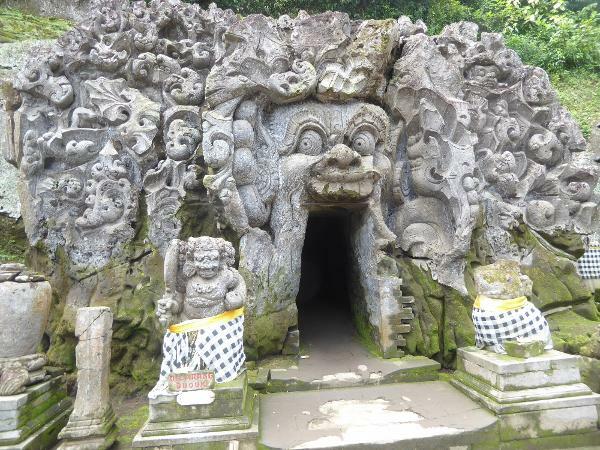 Cut into bedrock, they were dedicated to King Anak Wungsu of the Udayana dynasty and probably to his four wives, who killed themselves after his death. 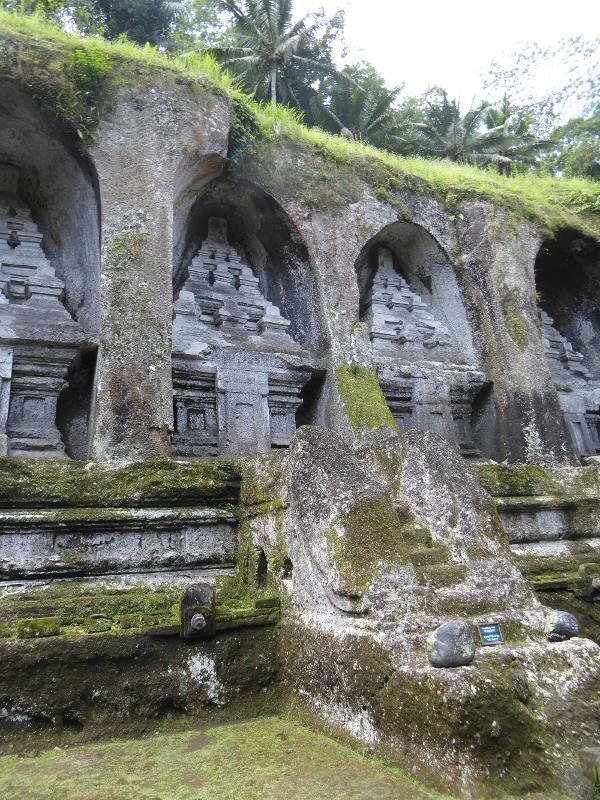 The name of the tombs is cryptic: it's Pura Gunung Kawi, "Temple of the Mountain of the Poet." 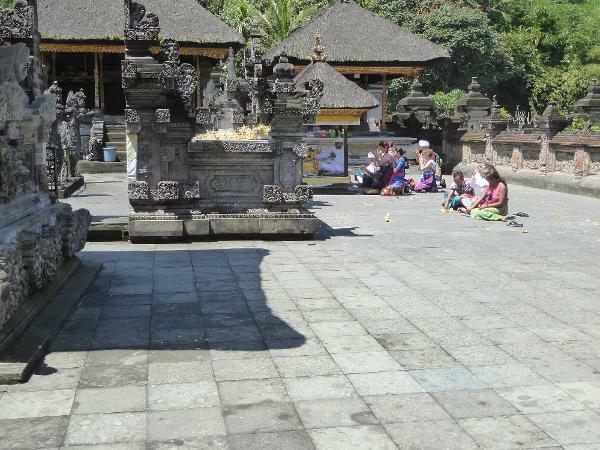 Foreigners are usually too prudish or unimaginative to realize that the stacked forms in each temple are stylized lingams penetrating yoni pedestals. The "doors" at the base of each temple are blind and have never opened into anything. 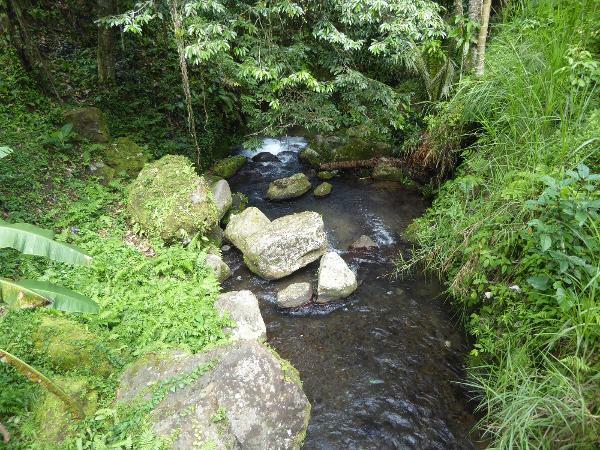 One would like to believe that the water has been flowing for a thousand years. Seems unlikely, but maybe. Here's a doorway that's anything but blind. Panicked nature flies away from the demonic head with its billiard-ball eyes. 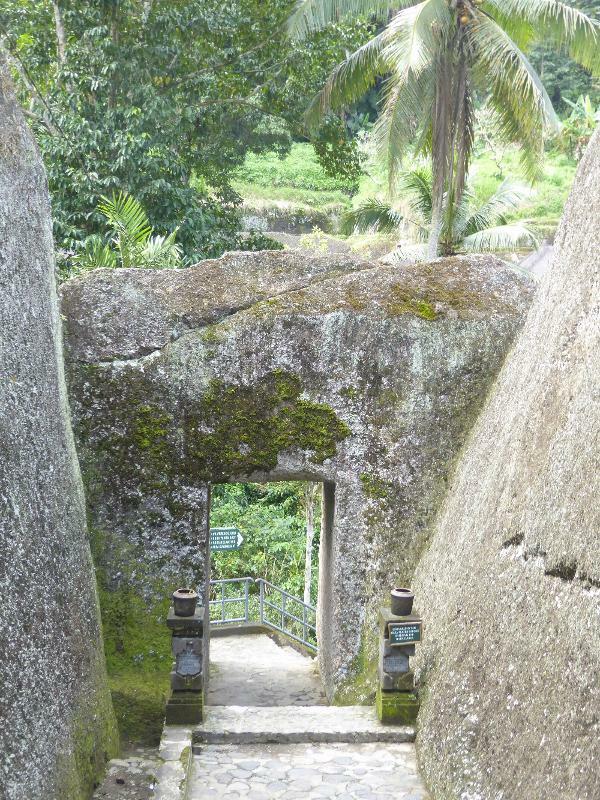 We're a few miles downhill from the tombs, and this is the famous Goa Gajah, literally "Elephant Cave." It has nothing to do with elephants. The image is instead of Boma the Protector, son of Shiva and Durga and probably derived from the kala heads known elsewhere in Southeast Asia. The sculpture is mentioned in a poem of 1365, but the first European to see it was J.D. Heyting in 1923. When he came by, the head was badly damaged and had only one eye, no nose, and no teeth. The restoration was complete by 1937, as shown on a drawing from that year by Nieuwenkamp. An earlier drawing by Nieuwenkamp in 1925 shows an array of female heads and torsos, since moved; again, the yellow cloth signifies holy forces. The sign says "no sitting." Not likely. 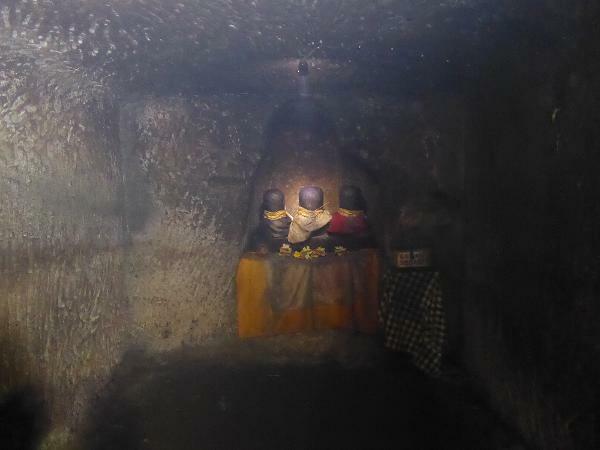 Inside the cave are several lingams, but they're 20th century additions. 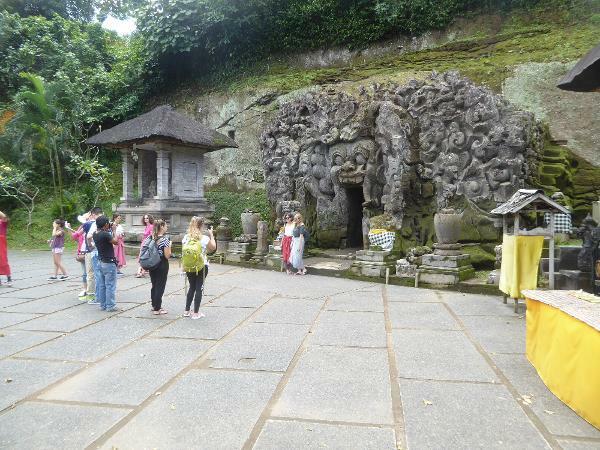 The cave might in any case have originally been a Buddhist shrine. Visitors have entertained their own private fantasies. 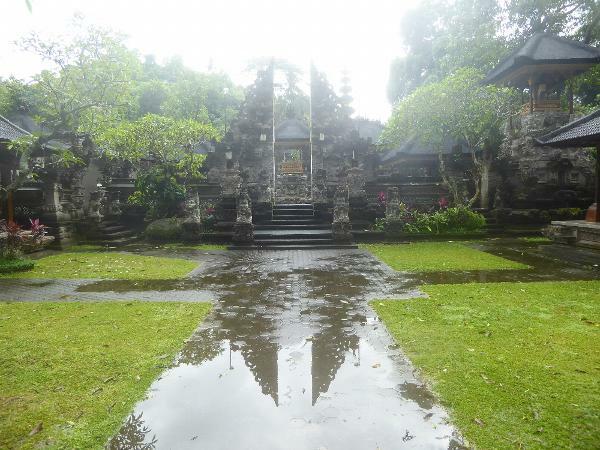 Here's Grace Gallatin Thompson Seton, writing in "Poison Arrows: Strange Journeys... and the Lotos Isle of Bali (1938, p. 299): "I burned a sheaf of rice straw before the Elephant God in whose cave lingers horrors of old torturing and decapitations." That girl had an imagination. The pavilion out front is new, too, replacing an older one shown in a Nieuwenkamp drawing. Funny, the things we find scary and the things we don't. Boma is making his most terrifying face, and the young ladies have already been discussing where they can get a milkshake. 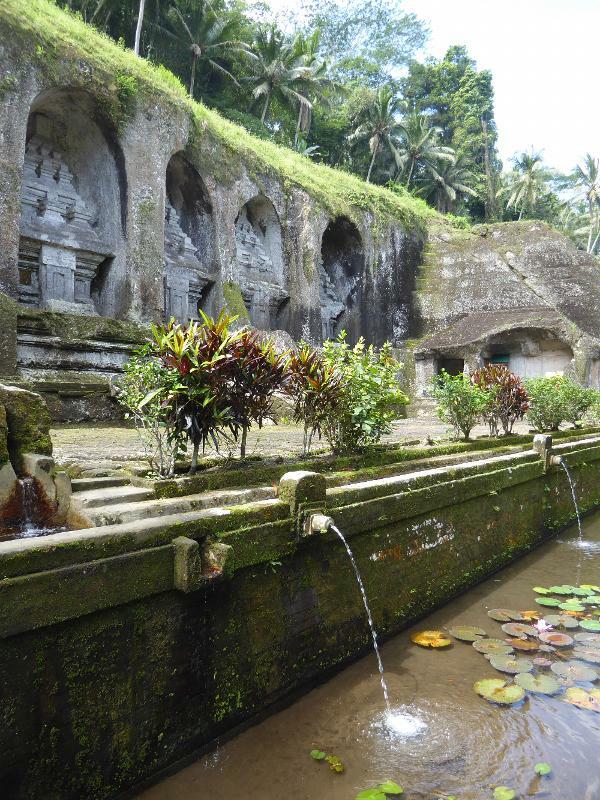 Close to the cave is this water garden with its own mini-palace. The heads and torsos that once stood in front of the cave have been moved back to a bath discovered by excavators in the 1950s. The excavator, J.C. Krijgsman, took his daily bath here in hopes the place would become a regular bathing place, but for some reason officials decided the spot was too sacred. 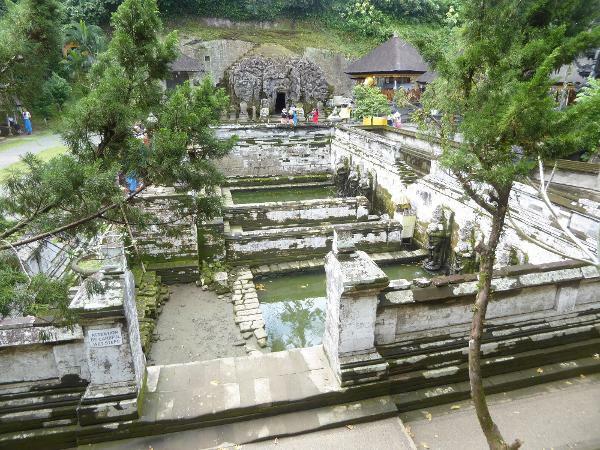 How they came to this conclusion while permitting crowds at Tirtha Empul is above my you-know-what. 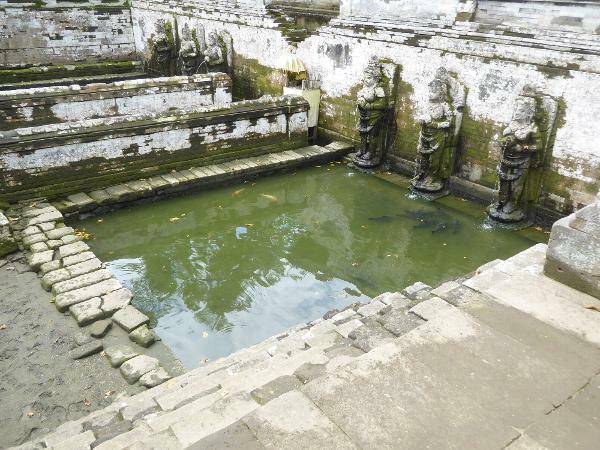 Let's go back to the Tirtha Empul's water, here flowing merrily away to be gradually diverted into irrigation canals. 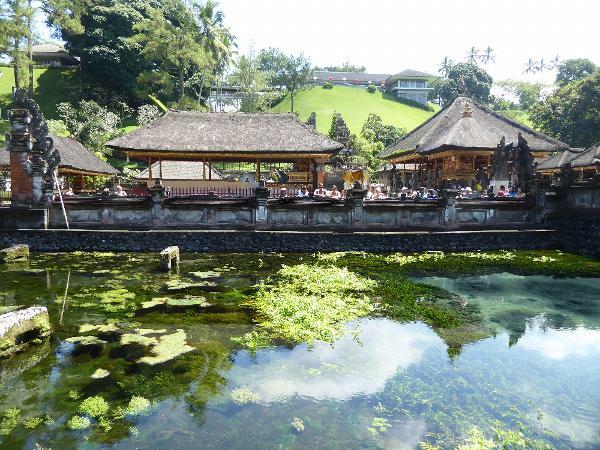 The villagers who maintain these canals do not have temples at Pura Ulun Danu. 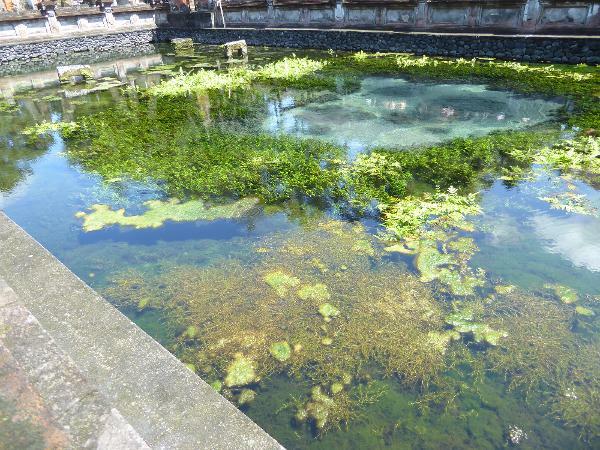 Sounds sacrilegious, but they have an excuse: their irrigation water, they say, originates at Tirtha Empul, not Lake Batur. The spring's water now feeds modern canals. Some day an anthropologist should have a few beers with the engineers who built this one and ask them what they make of the divinity with his golden umbrella. If the engineers are foreign, I'm betting they'll say that it's no different than a nurse wearing a crucifix. If Indonesian, I think there will be a moment of embarrassment and silence. 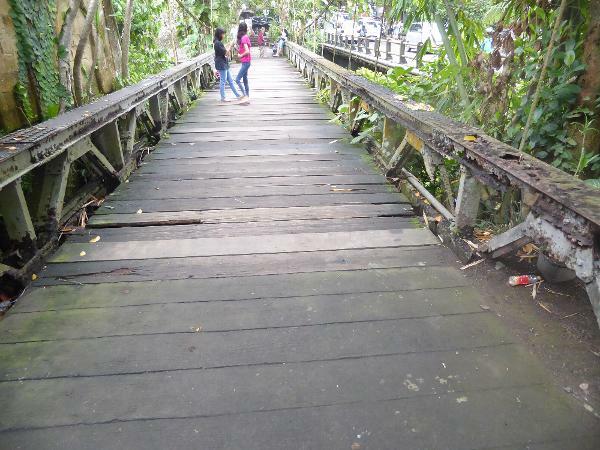 Local engineers will be more comfortable here, where they don't feel they must apologize for superstitious villagers. And here's what the canal sustains. 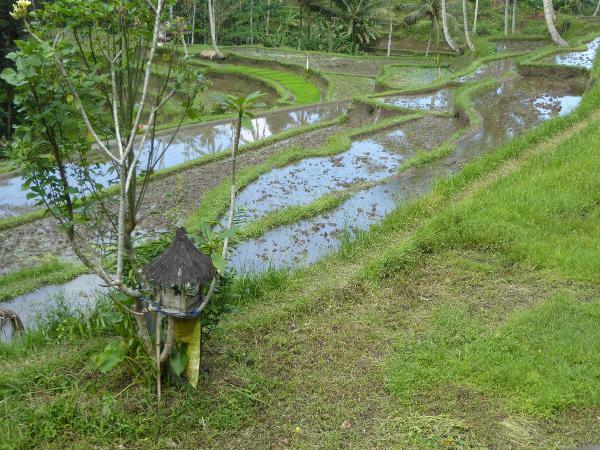 Terraced rice fields, or sawahs cover about 300 square miles of Bali, and visitors now but also in the past have often found the fields wonderful. The appeal is largely esthetic but partly also social. 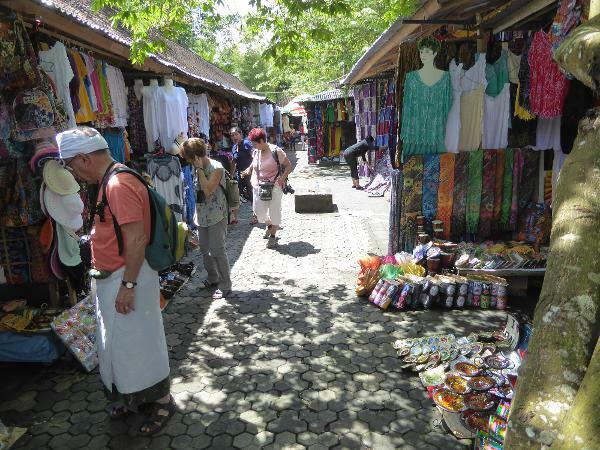 After all, people who fall in love with Bali are here because they are in some way dissatisfied with life at home. 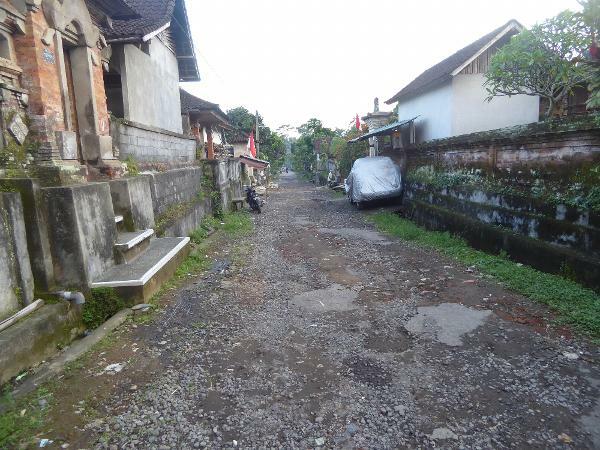 It's not just that Berlin or Chicago seems ugly, it is that people in Bali seem to live cooperatively rather than competitively to their dying day. You can see how Krause would be a sitting duck for Bali. 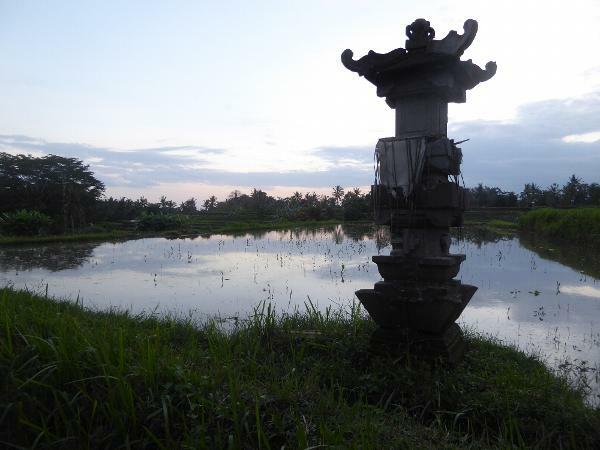 Here, at sunset, is a shrine to Dewi Sri, the rice goddess. 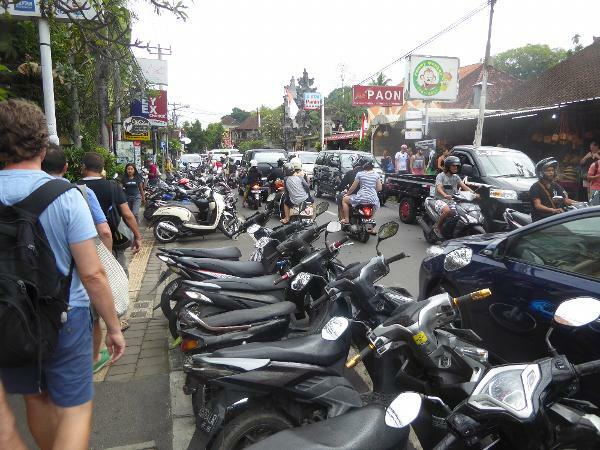 Made Wijaya (the adopted name of the late Australian Michael White) once estimated that Bali has half a million of them. That's a bit over two for every acre of rice paddy. Some of the shrines are very simple, but some of the paddies are complicated, demanding almost constant labor to protect the walls or bunds. Another impressed outsider, even earlier than Krause, was Frederick Liefrinck (1853-1927), a Dutch official with many years of experience on Bali. In the 1880s, well before the Dutch administration went into high gear, a young Liefrinck wrote at length about the Balinese economy. 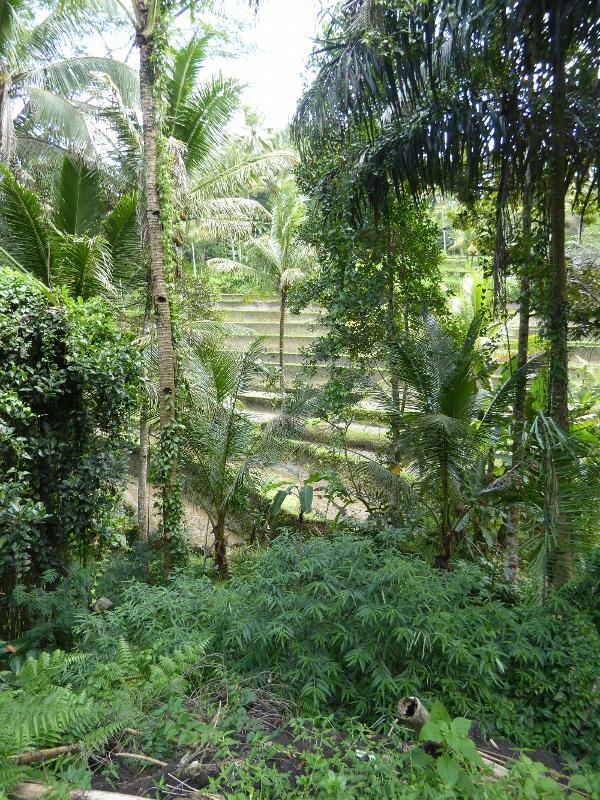 He admired the skill of Balinese farmers but also the society that allowed it to flourish, a society that was cooperative but which also recognized private property. 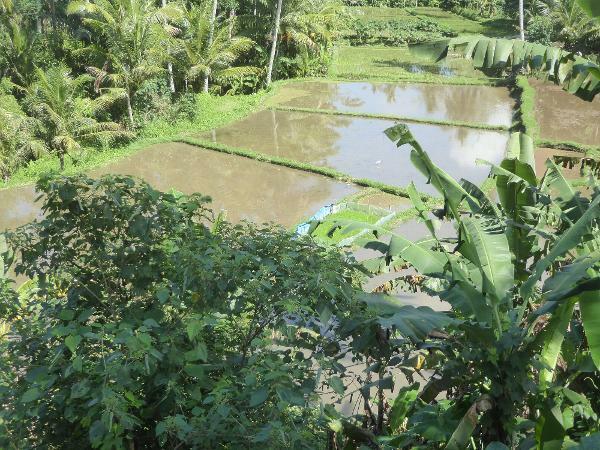 He writes, for example, "I hope this commentary will convey to the reader, at least in some measure, my own impression that the explanation of the amazingly high standard of rice cultivation in Bali is to be found in Montesquieu's conclusion that 'the yield of the soil depends less on its richness than on the degree of freedom enjoyed by those who till it." 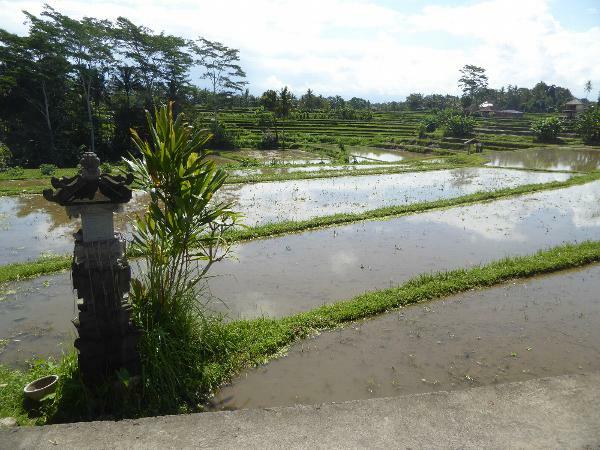 At another point he writes, "The energy and determination displayed by the Balinese in surmounting so many difficulties can be ascribed mainly to the certainty every sawah owner has that the fruits of his labour will be enjoyed solely by himself and his descendants. (P. 40.) (Most of Liefrinck's writings remain untranslated from the Dutch. These quotations come from an exception, "Rice Cultivation in Northern Bali," included in Bali: Further Studies in Life, Thought, and Ritual, edited by J. van Baal and others, The Hague, 1969). Liefrinck discusses how local farmers band together to dig a canal and develop a block for irrigation. 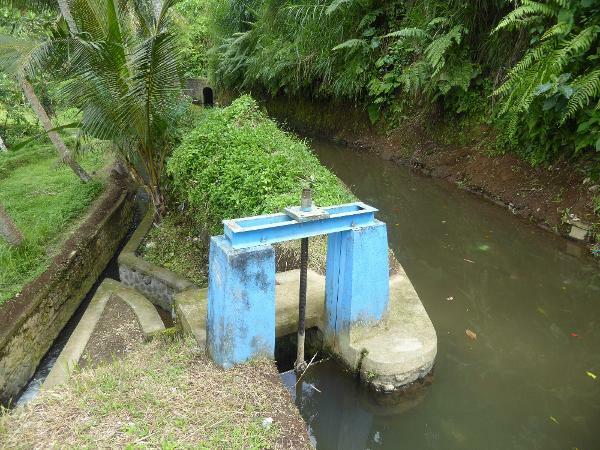 He continues: "It should not be concluded that, once the water conduits and the dam have been built, and the irrigation and planting of the fields can be started, the existence of the sekaha subak is felt to be unnecessary. On the contrary, there is an even closer bond now between the members. The need to cooperate in maintaining the dam and the main water conduit in good repair, and to reach agreement on coordinating the work in the sawahs... [obliges the farmers to work together] (p. 7). Hinting at the arguments that might arise over this work, Liefrinck mentions that all members are required to attend monthly meetings but are forbidden to come wearing their krises or daggers (p. 14). 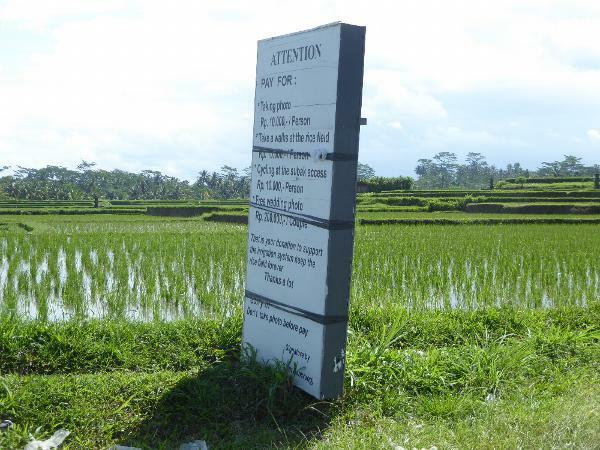 Don't be fooled by the picture into thinking that nothing has changed since his time: between 1965 and 2000 alone, rice yields on Bali almost tripled from 1.5 to 4.2 tons per hectare. Sounds like good news, but to make that happen, farmers had to use lots of subsidized fertilizer. As a result, soil fertility began to decline. 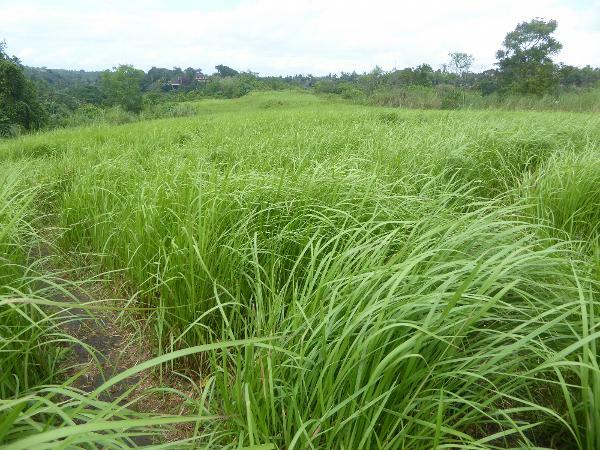 Traditional rice varieties had been replaced by high-yielding ones, but the price for those new varieties was very low. It was a bad combination, and UNESCO began speculating on the possible collapse of both the paddies and the subaks (III-5). If they go, the steeper lands will probably be abandoned first, just because they demand so much more work. Other sources of income? 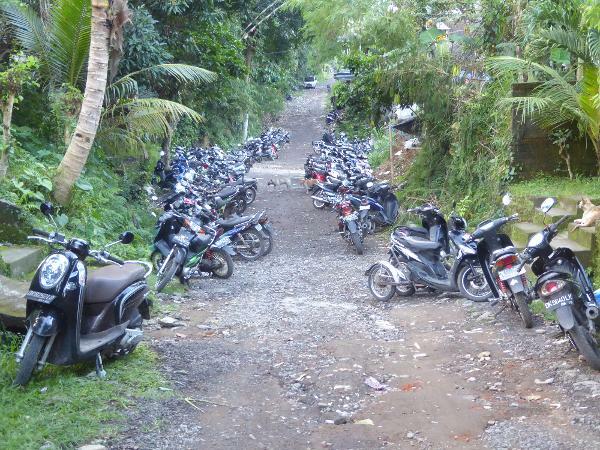 Here, at Sebali/Keliki, just above Ubud, one village has decided to make tourists pay to look. "Smart," one may say, but it's a long way from the old belief in the Tri Hita Karana, the "three causes of goodness." 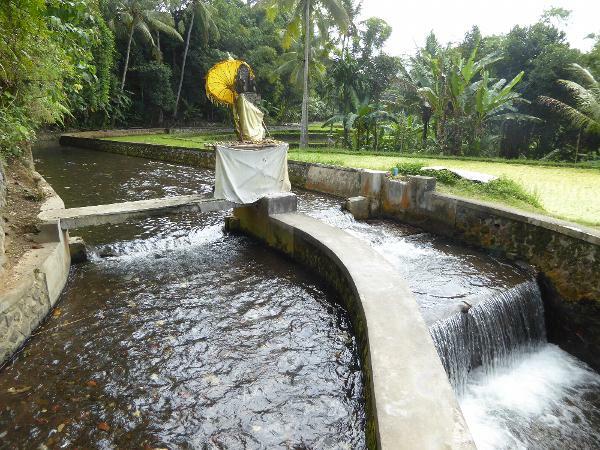 They were spirit, humanity, and nature (parhyangan, pawongan, and palemahan). So we go for a walk up a ridge, with weedy rice growing like wild grass. 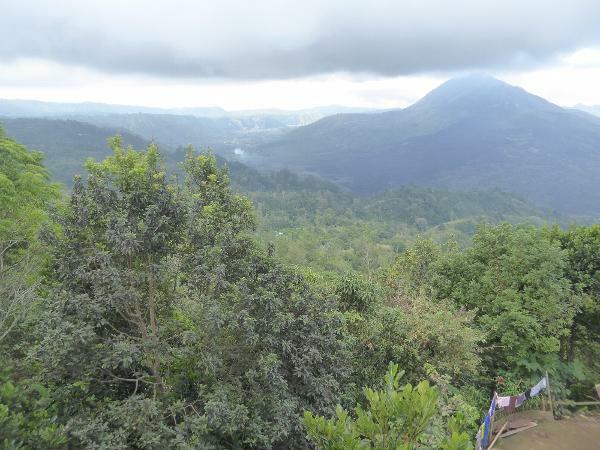 At the ridge on the left is some spillover from Ubud. 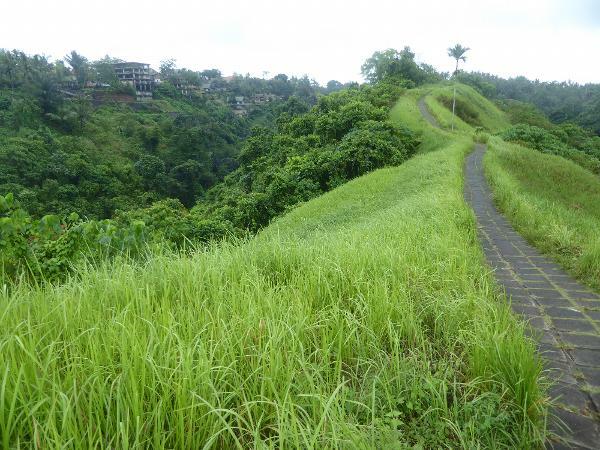 The summit grows flatter at Bukit Campuhan or Campuhan Hill, a ridge between two parallel streams. We land in a village. The houses have impressive gates. Krause writes: "Each farmhouse is separated from the others by a two-metre wall of dried mud or stone covered with strew or plaited palm leaves..." (p. 23). No palm leaves here, but still a substantial wall. paras. 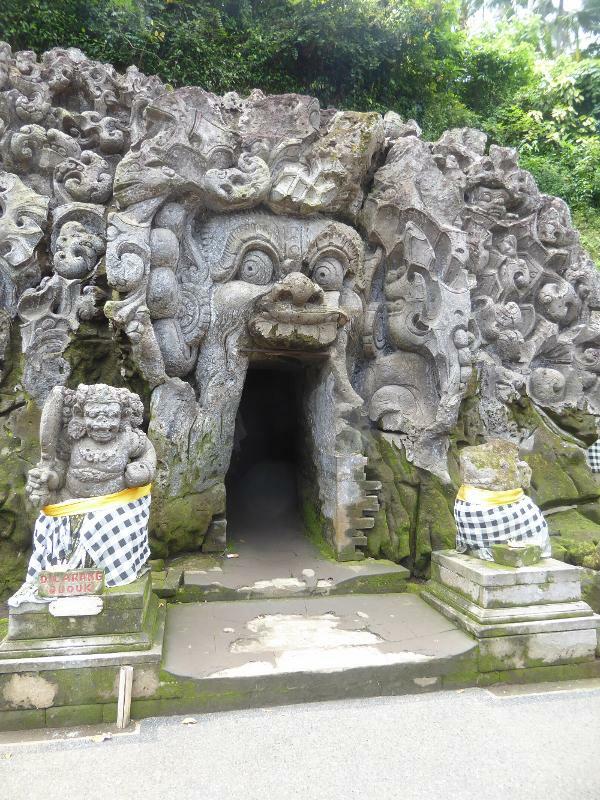 Wijaya writes that "nowhere else in the world are artisans still carving stone by the cubic tonne with such verve, originality and intricacy" (p. 170). Red brick and gray tuff or para: those are the materials. The para is quarried from banks of Petanu and Wos rivers. The brick is bata bali, baked roman brick developed first on at Trowulan, in East Java. The bricks come in large and small sizes, the small more popular though also more quickly weathered. Within the compound there will be a ceremonial pavilion on the eastern side, a procreation building on the north, and working spaces to the west. All the pavilions face inwards to a central court In this case there's even a convenience store, logically on the west side. Does it sell to people from outside the compound? Such an obvious question... in retrospect. Miguel Covarrubias, who lived here in the early 1930s, wrote that in all villages there was a "central square, invariably located in the centre of the village, [at] the intersection of the two main avenues." There would also be community halls in each sub-village unit. These halls, Covarrubian wrotes, were "until recently the most imposing traditional structures on the island." 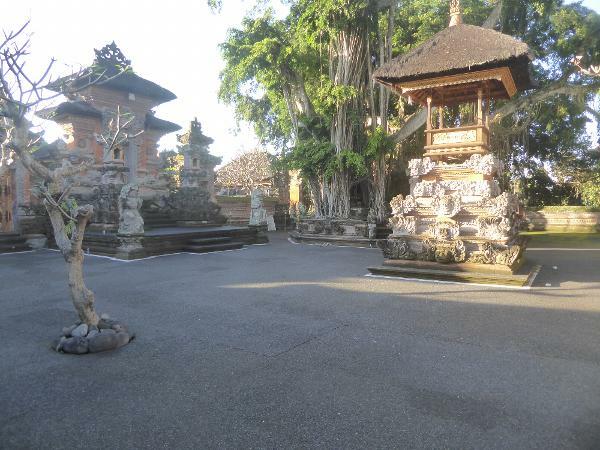 (Island of Bali, p. 36.) This much we can see: the street runs straight up the ridge. 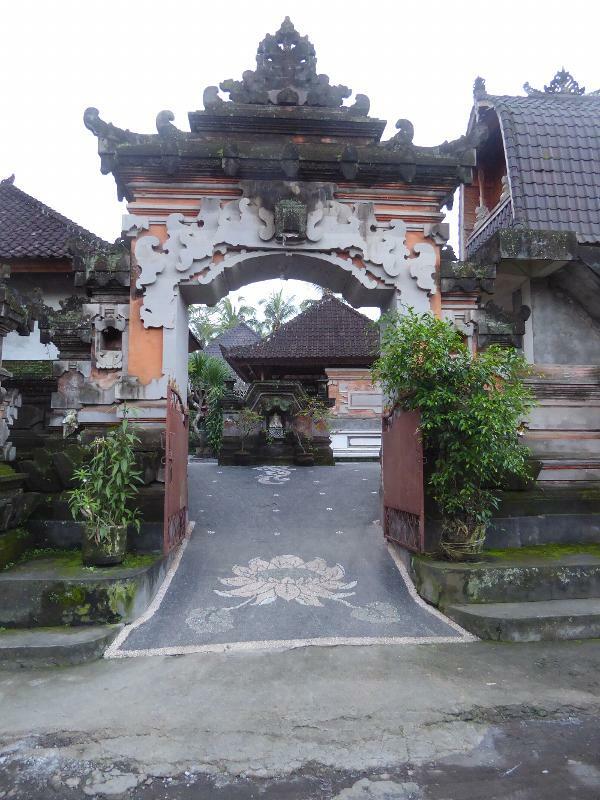 The split gate indicates the entrance to a fore- or intermediate courtyard; the inner sanctum will have a covered gate, a kori agung or paduraksa. 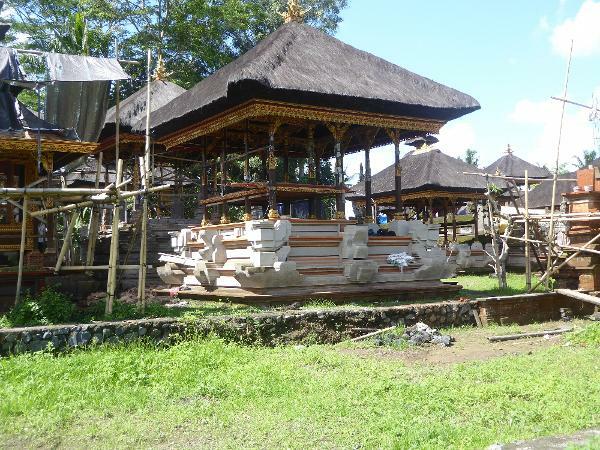 A drum pavilion (bale kulkul) marks the place of assembly at a temple on Jalan Suweta, north of Ubud. 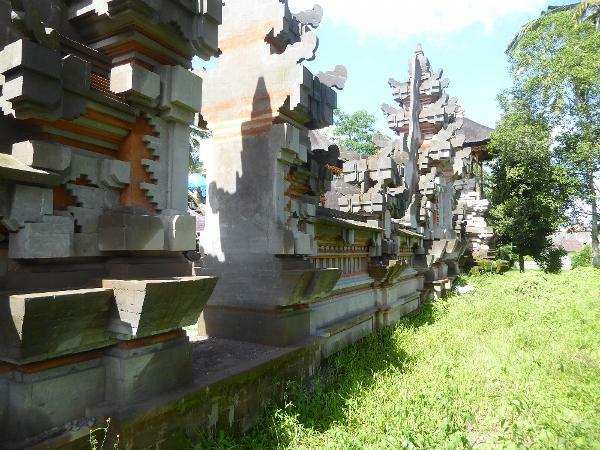 The style derives from Borobudur and Prambanan, but the materials used there are harder and longer lasting. The critter at the corner is a Sai, or winged lion. The light-colored tuff is often sold in units ready to fit with locally standard brick sizes. But here's something absolutely genuine. 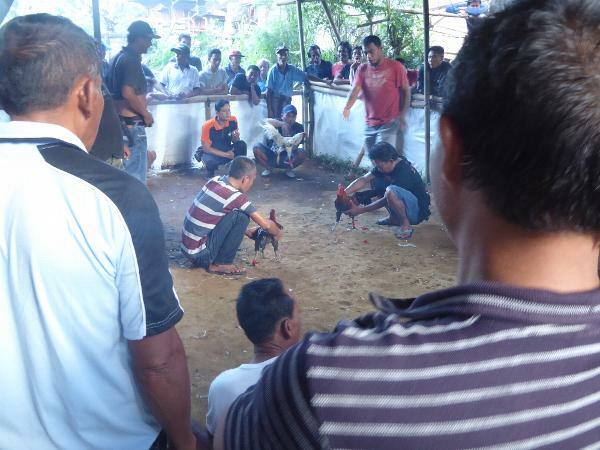 Thinks it's a religious ceremony? Sure enough: men only. The fight was very brief but long enough for a victor to be declared and bets settled.